I am the biggest fan of ayam goreng. Lagi lagi korean fried chicken yang sekarang tengah hot tu, my fav! 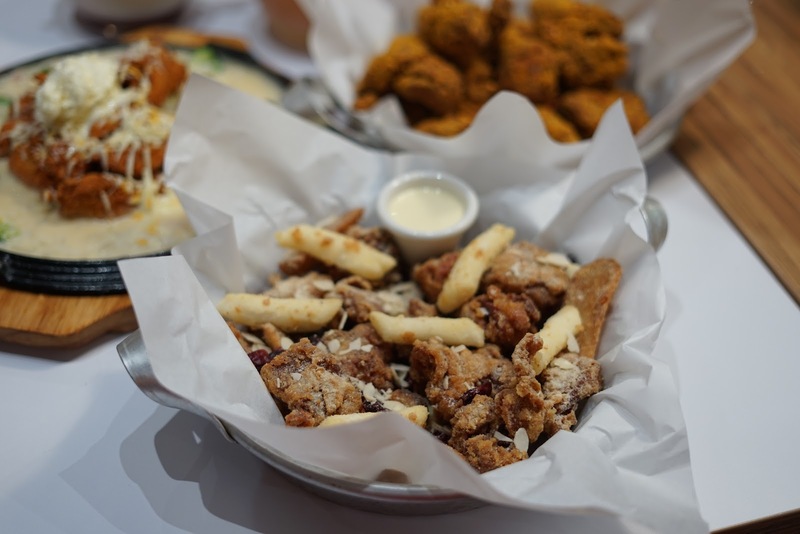 Read me if you're a korean fried chicken lover like me too! 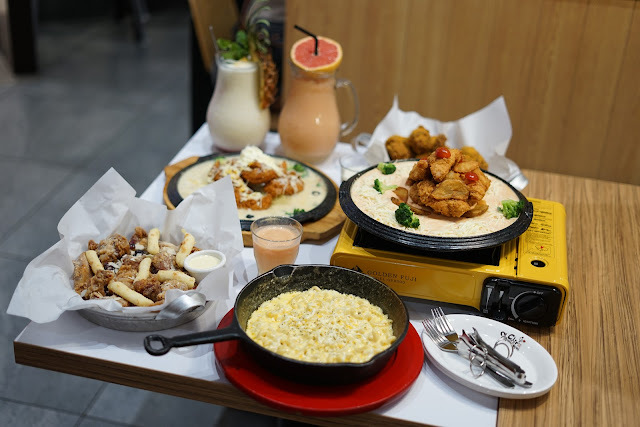 Chir Chir (pronounced as "Chi-Re Chi-Re") is one the South Korea's largest chain of restaurants. 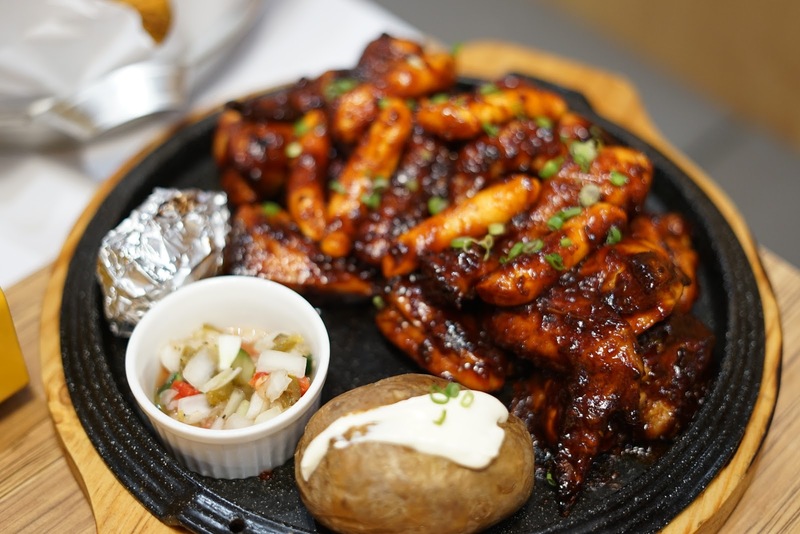 It is known for it's signature freshly-cooked Korean chicken dishes. Their first outlet is in Pavillion Elite KL. While waiting for the food. Chir Chir Malaysia baru launch menu baru, Curry Fried Chicken and Chi-Bap. 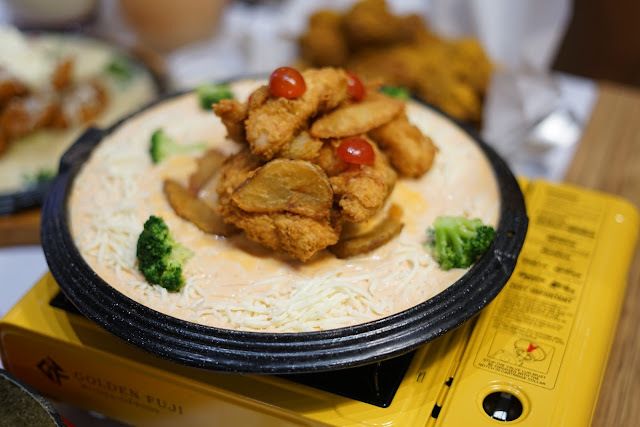 Curry Fried Chicken. Influenced by local palates, Curry Fried Chicken ni really crispy and banyak perasa. Dia letak curry seasoning, fragrant curry leaves and sliced almonds. Kalau suka pedas, this is for you! Chi-Bap is inspired by Korea's Bibimbap. Normally kalau bibimbap, ada mixed rice dengan sos dia. 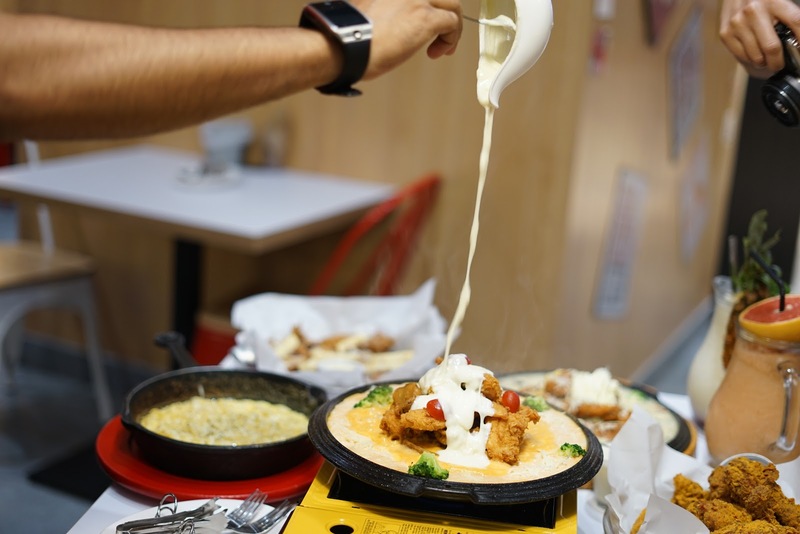 Tapi sebab orang Malaysia kan suka sangat cheese, now Chir Chir ada dua variations. 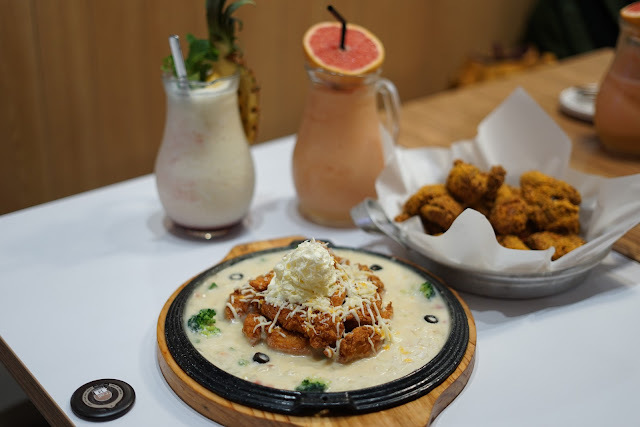 1) Rose Cheese Chiqueen - ayam goreng yang crispy dalam creamy mozarella and fondue cheese, topped with chunky potatoes wedges and cherry tomatoes. This is the Rose Cheese Chiqueen. This is how it looks like. It is sooooo delicious, sedap gila kalau suka cheese. 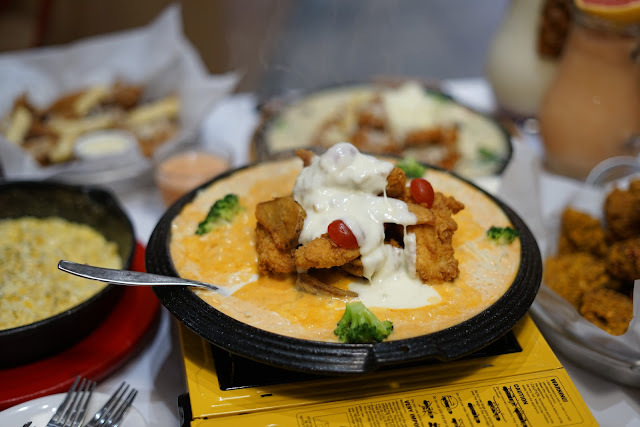 Dia creamy cheese, makan pulak dengan ayam goreng yang crispy. Perfect. The second one is Spicy Chi-Bap. 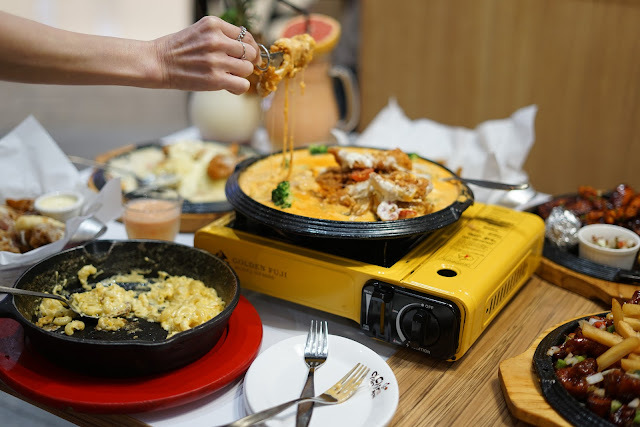 Kalau suka yang pedas, better ambil yang ni sebab yang Rose Cheese Chiqueen tu tak pedas langsung. Honey Butter Chicken. 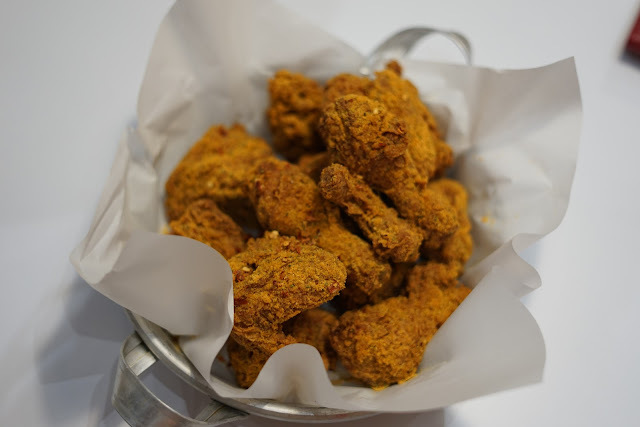 Yang ni ayam goreng tak ada tulang, crispy jugak. Dia rasa manis manis. Ada potato wedges and rice cakes sekali. Yang dipping tu honey butter sauce. Sedap makan cicah macam tu. Yang ni Nest Snow. Juicy Cajun Chicken tenders with rich cream sauce. Siap ada whipped cream and grated cheese. Yang ni lebih kepada rasa creamy, cheese dia tak rasa sangat. Kalau takut muak sangat dengan cheese, boleh try yang ni. Kalau suka cheese, try yang Rose Cheese Chiqueen. Special BBQ Roasted Chicken ni pedas gila. 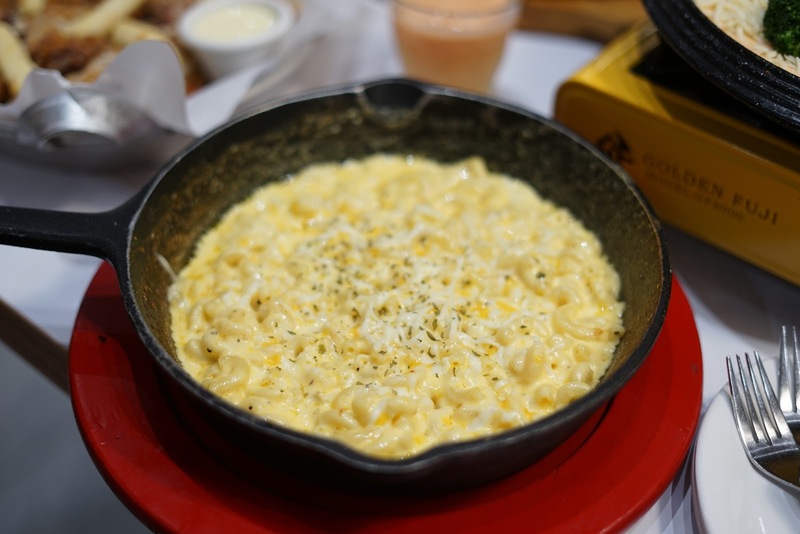 The delicious creamy cheese macaroni. Suitable for kids and adults. Portion dia besar, so memang kena share. Makan sorang tak habis haha. 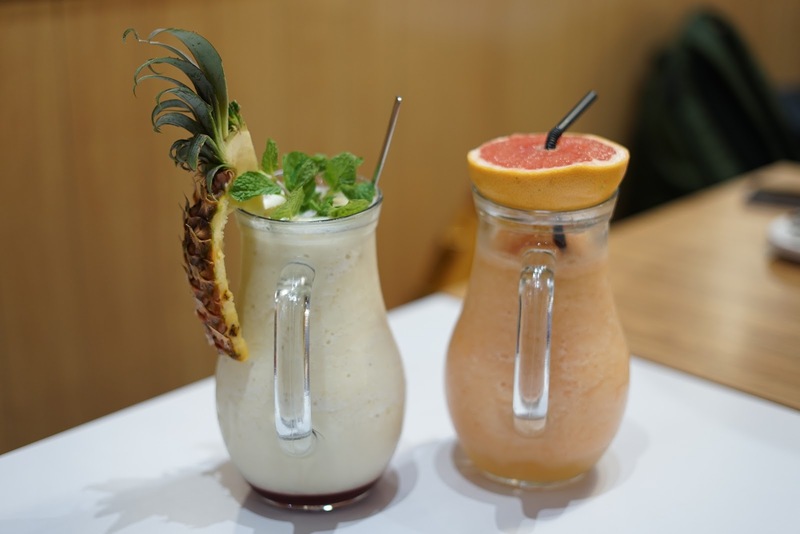 As for the drinks, yang ni Pineapple Smoothie and Grapefruit Yogurt. Grapefruit yogurt tu ice-blend mix of grapefruit yogurt, grapefruit and mint leaves. Pineapple Smoothie ada mix pineapple puree, coconut, strawberry, banana and mint leaves. I prefer Pineapple Smoothie sebab rasa lagi refreshing but depends on your preference lah. The portion is quite big so lagi elok kalau datang ramai ramai sebab tak mampu ok nak habiskan! Other than that, ada juga signature Fried Chicken (Crispy, Garlicky or Spicy flavoured) a la carte or with a combo. Boleh pilih nak Kimchi Coleslaw / Rice or Fries, dengan soft drink sekali. 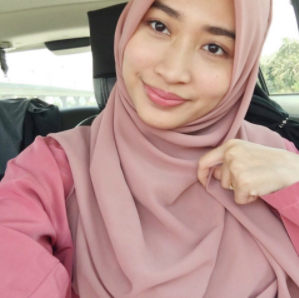 168, Jalan Raja Chulan, Bukit Bintang, 55100 Kuala Lumpur.